DALLAS – Friday marks the one-year anniversary of one of Dallas’ most tragic days, when five of the city’s finest first responders were gunned down during an ambush. 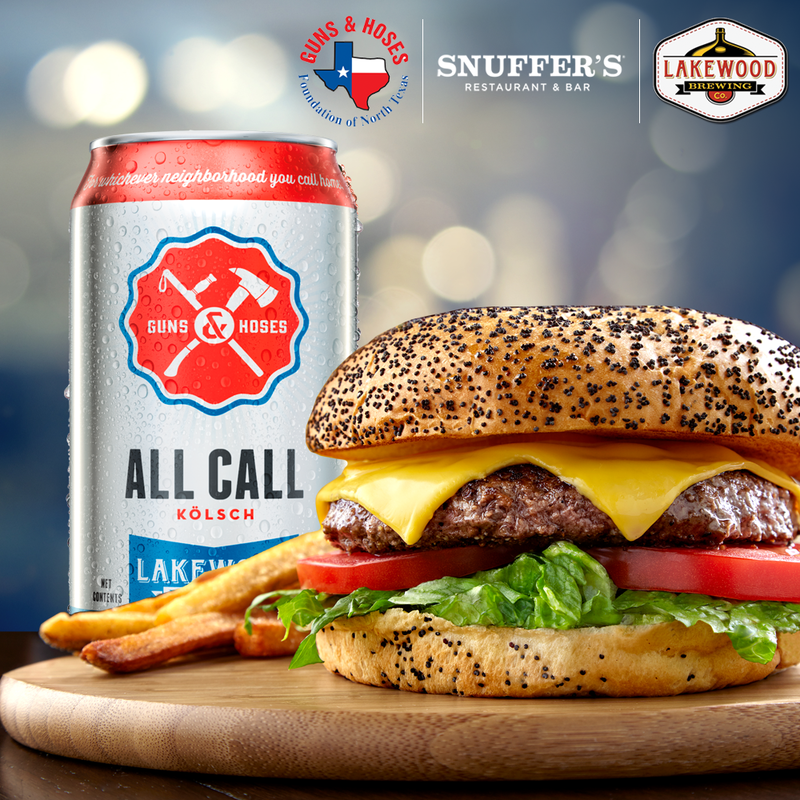 To honor their memory, Snuffer’s Restaurant & Bar has joined Lakewood Brewing Company to host a fundraiser benefitting the Guns & Hoses Foundation of North Texas, a non-profit organization dedicated to providing immediate financial assistance to the families of fallen first responders lost in the line of duty. This fundraiser will take place from open to close at all 11 Snuffer’s locations. For the restaurant nearest you, and more information on the entire menu, visit Snuffers.com. The iconic Snuffer’s Restaurant & Bar brand has been a Dallas institution since 1978, serving its signature menu of legendary Burgers and famous Cheddar Fries. Snuffer’s is where friends and family gather to catch up, watch a game or enjoy a casual happy hour after work. D Magazine recently recognized Snuffer’s as the 2016 Reader’s Choice “Best Burger” Winner in its annual Best of Big D awards competition. Open seven days a week, there are currently 11 Snuffer’s restaurants throughout North Texas.